Registrations open for the upcoming Inter school event Enchante 2018. 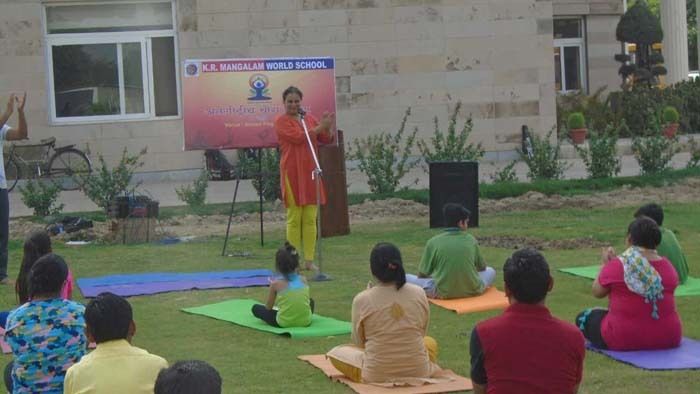 The international yoga day was celebrated with great fervour in K. R. Mangalam World School Greater Noida . Student, Parents, Staff and support staff members participated in this event with much enthusiasm. 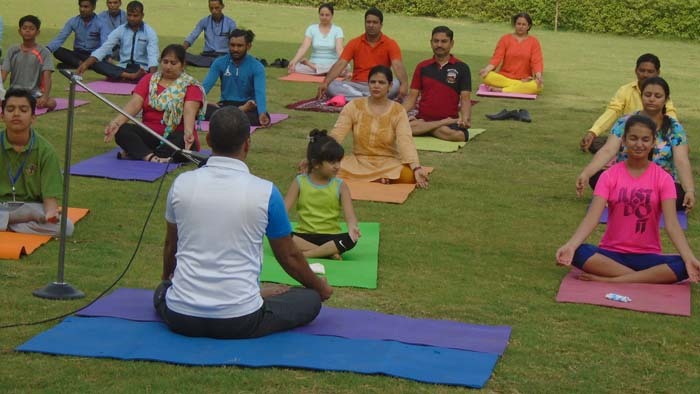 Sports teacher Mr. Ankur Kumar taught few relevant breathing techniques and certain yoga postures. 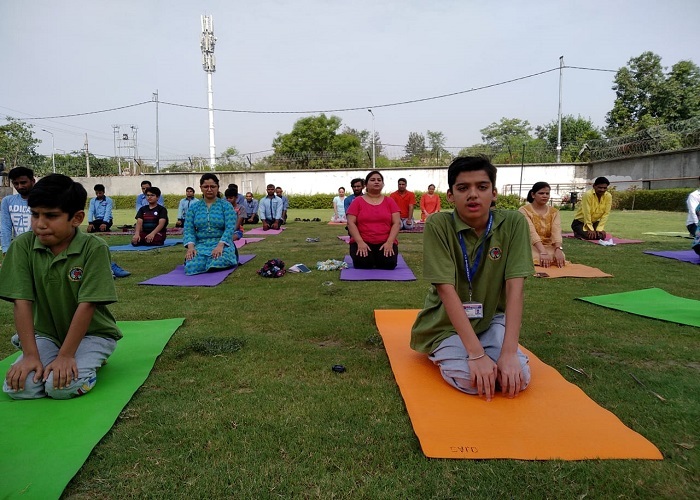 The Principal Ms. Pooja Bose, in her address, encouraged everyone to make yoga a routine of their life for physical, mental and spiritual well- being.